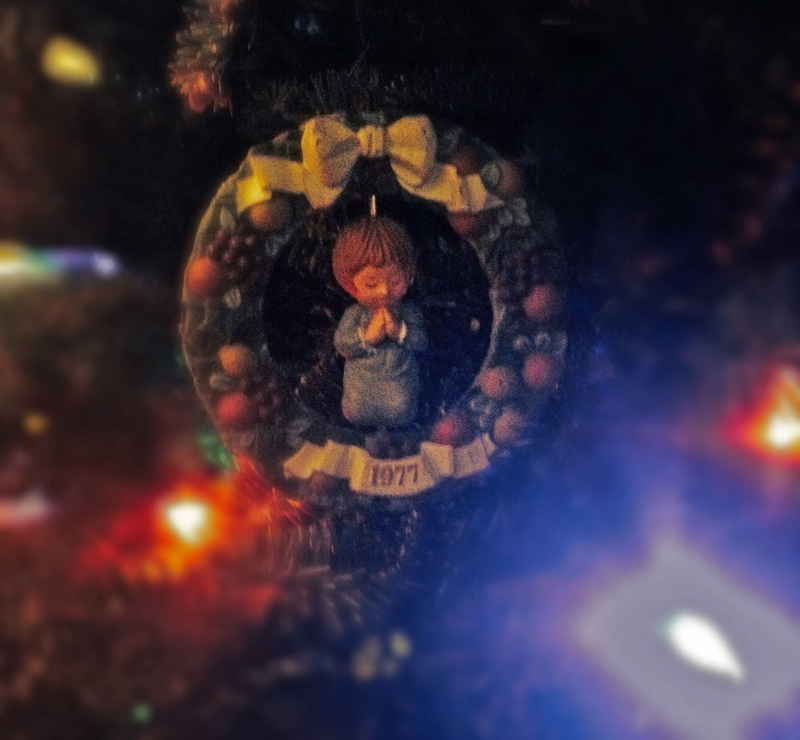 An ornament that was on our tree each year. As a child Christmas was always a magical time for me. As with many kids I saw it as a time when all my efforts at being good throughout the year would pay off. The gifts I would receive were connected to my actions. Plus the fact that it was a time of winter break from school when you hung out with friends building snow forts and talking about what gift you hopped for. Things were simple. Of course even as a child I was aware that the type and number of gifts were closely related to available funds. Even so I loved the idea of all things Christmas from the, music to the shows I would watch before bed like “Rudolph the Red-Nosed Reindeer and the Island of Misfit Toys.” I had my favorites but that was the one looked forward to the most. For many years I had a calendar I kept near my bed marking off each day of December in anticipation for the big day when Santa would bring me gifts. Eventually I started to put together that we didn’t have a chimney plus there were the kids in school who said it was a lie. In time, as we all do, I learned all about it but not before I enjoyed many years of the thought that he was in fact coming. I swear one year I really heard the bells on his sleigh on our roof, I was completely convinced. Years later I would dangle bells on the end of a broom stick and shake them outside of the kid’s bedroom window hoping they would feel the way I did. My own kids, at least the first two, were raised differently than I was. They were taught at a young age that Santa was not real because I thought the truth was more important plus my intention was to teach them Jesus is the reason for the season. Thinking back I believe it’s possible to do both and I wish I had. My last two kids though were allowed to dream about the idea though only one actually believed it was true for a while at least. Some of the magic of Christmas wears off as an adult. It can be hard to focus on the things we did as a kid because of work, money it takes to get gifts, shopping crowds and traffic. Sometimes Christmas can be a time of sadness for some people who have lost loved ones or who have had significant life changes. For them Christmas can become a time of year when you just wait for it to pass perhaps while forcing a smile. The fact is life happens. Things change and those changes may not always agree with our plans on how things should be. These changes may seem unfair or like a curse even. Even with the changes life brings there are choices to be made. I’m not saying this is the way it should be for everyone but for me I choose to face those changes with courage. I will accept that life happens and I will make a choice to be happy. The thing happening in my life this season will not be what defines how I face it in years to come. Actually yes it will because this year I will be happy and enjoy Christmas. As my kids open their gifts I will think about their happiness and how fortunate I am.